AT THE PIANO WITH……is a series of interviews with piano teachers which is running on my sister blog, The Cross-Eyed Pianist, with occasional posts on this blog. My paternal grandfather playing Methodist hymns and excerpts from Bach, Haydn and Beethoven on the Victorian upright piano in the “parlour” (front room) of his house in Ipswich. There was no “eureka moment”, or a driving ambition to be a piano teacher. In fact, it happened by accident. A friend of mine, whose daughter was in the same class as my son at primary school, knew I played and asked if I would teach her daughter. I thought “why not give it a try?” and so Rose and I set off on a journey of discovery together. It was a bit hit and miss at first, but I soon discovered I enjoyed it and developed my own teaching style and approach. My second piano teacher, Mrs Murdoch, in Rickmansworth taught me how to appreciate Bach, an appreciation I retain to this day. My music teacher at secondary school has been a major influence on my teaching: I often hear Mr Weaver at my back when I’m teaching. He was a very committed, enthusiastic and energetic teacher, and I hope my teaching, in a small way, emulates his. My current teacher is also significant: she unpicked 25 years of bad habits, accumulated between ceasing lessons in my late teens, and returning in my 40s, and has taught me confidence and self-belief. I would never have passed my first Diploma with distinction without her support. See above. 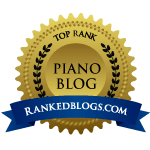 My blogging has put me in touch with teachers and pianists around the world and I find the exchange of information and ideas very useful to my teaching and my playing. I find there is also a lot to be gained from talking to professional musicians (who may not be teachers). Every week something happens which is wonderful and memorable, but Lucy gaining a Merit in her Grade 1 was pretty special (the first student I entered for an exam). Seeing and hearing my students perform at our annual concerts is always lovely too. The interaction between an adult student and me as teacher is more interesting and often more involved than with a child. Adults are generally very committed and keen, but they tend to be far more nervous than children and need support and encouragement to overcome their anxiety. Others have slightly over-ambitious ideas about what they can play, but I would never discourage a student from trying repertoire that might be beyond them. If it is really impossible, one can always offer a simplified version….. Exams are a useful obvious benchmark of progress, and many students want to take them for this reason. I am not a teacher who lives by her results and I would never enter a student for an exam if I felt they were not fully prepared. I am wary of parents (and children) who see the accumulation of exam results as the be all and end all of musical study. My main aim is to share my enthusiasm and passion for the piano and its literature. Festivals are a great opportunity to put repertoire before an audience, perhaps ahead of an exam, and the adjudicator’s remarks are often kinder (but no less useful) than those of an examiner. I have had no direct experience of competitions, but my views are mixed. Some students see competitions as a means to an end – i.e. a professional career. But a win at a competition does not necessarily guarantee this. I am wary of the “Three C’s” – Conservatoire, Competition, Concerto – and feel that any student of music should have a rounded education, with broad musical horizons. Beginners – the will and enthusiasm to learn, and an ability to stick with it. Learning to play the piano is hard! But regular practise leads to noticeable progress. Advanced students – stick with it! Play what you love, and don’t select repertoire just because you think it will impress an examiner, tutor or competition jury. Try to find your own musical voice and artistic vision, and don’t forever compare yourself to others. A teacher who is teaching students to perform – whether in student concerts, exams, festivals or competitions – should be a performer him/herself. How else can you teach performance? Performance requires special talents, which cannot be taught unless you have direct experience yourself. Who are your favourite pianists and why? Mitsuko Uchida – her Mozart playing is second to none. Glenn Gould – a maverick and a genius. No one else plays Bach like Gould did! Peter Donohoe – a formidable talent, and a thoroughly nice bloke, who is never too busy to offer advice and support. 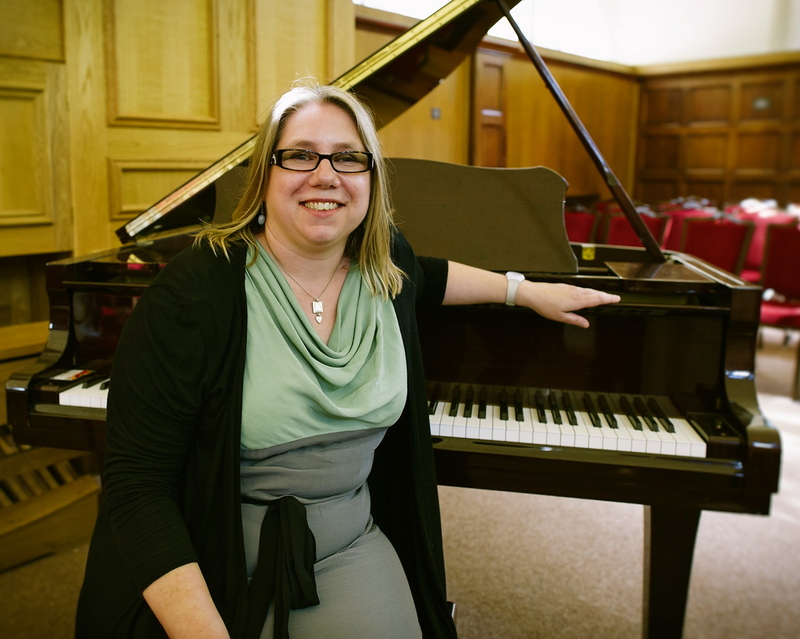 Frances Wilson runs a busy private piano teaching practice in SW London. A keen concert goer, Frances writes music reviews for international concert and opera listing site Bachtrack.com, and blogs on music and pianism as The Cross-Eyed Pianist. (She is also the author of this blog.) Currently studying with Penelope Roskell, Professor of Piano and Piano Pedagogy at Trinity-Laban Conservatoire of Music and Dance.